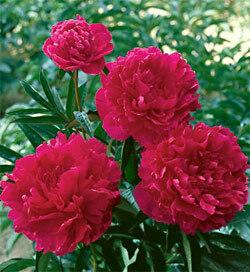 Peonies are a beautiful addition to any garden when they bloom in the Spring. Get 42% Off Peonies at BloomingBulb now during their Early Ordering Sale for Fall planting. They will ship your peonies at the right time according to your planting zone so that you can have them nestled in the soil in time for Spring. Below you will find all of the Peonies that are available now. Click on any of the images below to go directly to them at BloomingBulb. The discount will be applied in the price automatically on their website.